You can watch many AVI movies without any additional software on a Mac just by playing them in the included QuickTime Player (located in the Applications folder). Just double click the file and it should work, as modern versions of QuickTime in Mac OS X support a wide variety of video files and video codecs, including most AVI. There are also times when just the audio of an AVI doesn’t work and sometimes just the video won’t work, in these cases it’s likely because you need to get a particular codec on your Mac to watch the AVI file. This is often the case with DIVX files in particular, but it happens with many AVI formatted movies quite often. Not to worry, we will show you how to play them for free! In any of these cases the best solution is to get the AVI to play on your Mac is to just download a free app called VLC. VLC supports a huge array of codecs and can play nearly any AVI file with accompanying crazy AVI Codec directly on a Mac. Whether it’s DIVX or otherwise, VLC can do it. VLC plays nearly any imaginable video file type, so it’s a great tool to have around on the Mac anyway. Beyond AVI, it will play just about anything if its a movie file format of any kind. If you want to stick with QuickTime, and you have an older version of the software, another option to play AVI with special codecs is the free plugin for QuickTime Player called Perian. Perian covers many codecs and will almost certainly allow your AVI file to play in the Mac QuickTime Player. The video should now play trouble free within QuickTime Player. You could always convert the AVI to MOV as well but you’d still need to download Perian for that. If you’re looking to play DIVX on a Mac, I would highly recommend using VLC, but Perian works as well. It’s really the best solution, so don’t give up on the video files, just play them with a utility, app, or plugin. Have fun and enjoy your divx and AVI video on Mac OS X! So where’s the “without any additional software” when the whole article is about installing a software? Isn’t it better to just forget about the horrible Quick Time Player? QuickTime Player opens many AVI movies without Perian, it’s only particular codecs that it won’t support. If you have any suggestions for an alternate video player, post away. 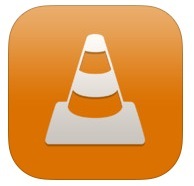 Since development on VLC for Mac has stagnated I am hesitant to recommend it as a solution. Not sure why you say Mac development for VLC has stagnated. A posting on their site http://www.videolan.org/ dated April 21 states that version 1.06 for the Mac will soon be released, which will bridge the gap between the current 1.05 (released in January) and the up-coming version 1.10. VLC works beautifully for me and I have it installed on 20+ Macs in our studio. When I first started reading this article I thought it was going to be about the Apple page where you can obtain QT codecs and plugins and junk. @jakub, QT isn’t really horrible at all. Overall it’s hight versatile and functional. It has allot of really great features and functionality, aside from being the foundation of iTunes. Pretty good basic video editing functions, great export and video conversion functions. QT is actually pretty powerful if you take the time to get to know it. Ufortunately Perian is terribly slow. VLC has much better performance.. but anyway king of performance is Movist and the best is to stick with this.It’s first player that on my MBPro plays well compressed 1080p videos without glitches. I dont really understand what that did exactly (not a computer guy), but it worked. Thank you very much.